Accessible Japan: Can you visit Japan with a disability? 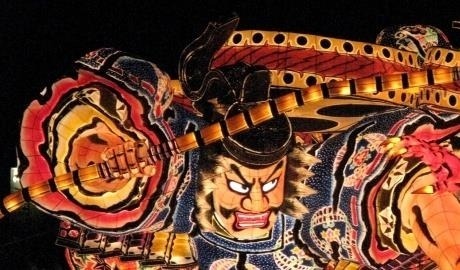 HOME » Blog » Accessible Japan: Can you travel to Japan with a disability? Accessible Japan: Can you travel to Japan with a disability? Josh Grisdale has cerebral palsy and has been living in Tokyo for nearly a decade. He runs Accessible Japan – a source of information on accessibility in Japan including general tips, hotel information, tourist attraction reviews and more. You can follow Accessible Japan on Facebook and Twitter. At 6 months of age, I was diagnosed with severe cerebral palsy and have used an electric wheelchair since I was three years old. As I grew up, I had a number of Japan-related encounters and slowly fell in love with the country from afar. I wasn’t sure if I could live in the country that held my fascination – but I wanted to at least try. I first visited Japan 15 years ago in 2000 – and it was unforgettable. Not just the exciting culture and exotic landscape, but because of adventures brought about by my disability: being carried down five flights of stairs in an electric wheelchair by six subway employees is not something easily forgotten! There were also many stares – not in a mean-spirited way, but innocently inquisitive. I thought then… “hey, where are all the disabled people? !” Few people with disabilities were out and about. Fast forward to today, and I am just one of many people with a disability living life in Tokyo. Japan has changed an incredible amount and I would say that it is even more accessible than my native Canada. Most tourist sites are modified, the rail system is very easy to use, and there are many clean and accessible toilets around. Can you visit Japan with a disability? For sure! Here are four awesome things about Japan that will make you want to put your wheelchair in top gear and get on a plane ASAP! Japan has put into force a law to ensure accessibility at many places throughout the country. In addition to this there is a rapidly aging population, so there are many seniors with mobility needs and a disposable income who love to travel – an encouragement for any tourist site! 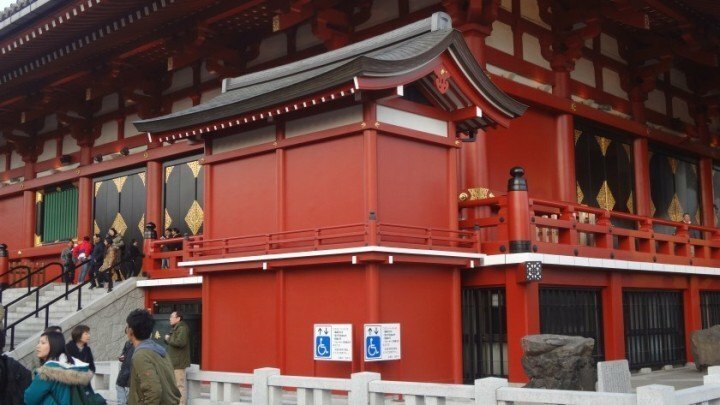 Many of Japan’s tourist attractions are cultural heritage sites, so attention is paid to integrating accessibility features with the aesthetics of the site. Sometimes a site might look inaccessible, when in fact it actually is just fine. Maintaining both the aesthetics and accessibility may mean entering via a not-so-obvious side entrance, but more often than not it will come in the form of a ramp made of aged wood or an elevator designed to look like a temple building. Since many of these integrations are not immediately obvious, before giving up, make sure you ask a staff member or security guard. They will gladly show you the way. Unfortunately, while most places have done a fantastic job, many old shrines and temples are built at the top of stairways on steep hills and cannot be adapted. 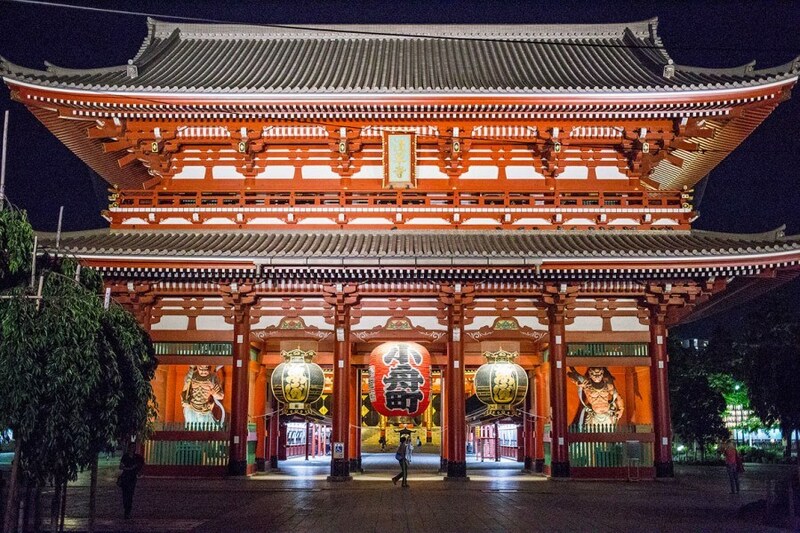 Here, the elevator at Senso-ji in Tokyo is designed to blend in with the temple. The bullet train, or Shinkansen, also features spaces for wheelchairs (as well as a private compartment if needed) and a toilet that is large enough to handle a wheelchair. 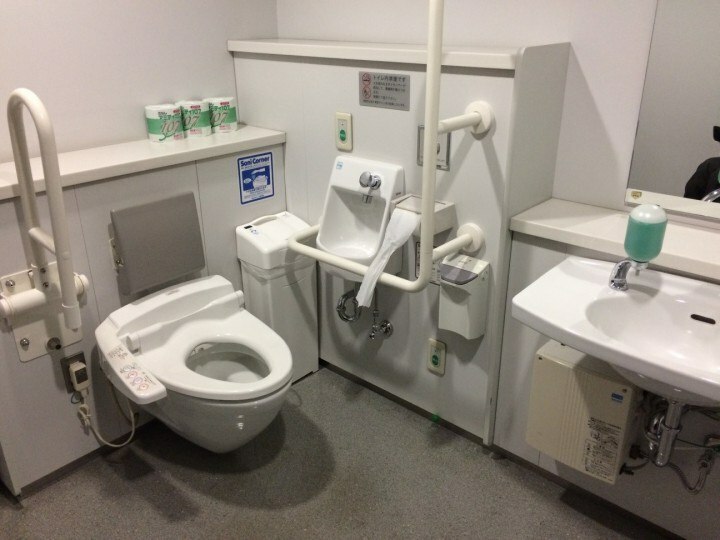 Japan has what’s called a ‘multipurpose toilet’ – and they are a godsend to wheelchair users. They can also easily be found at train stations, tourist attractions, public buildings, department stores, larger supermarkets and in parks. Inside Japan Tours can provide you with a pocket WiFi device, so you can use the Check a Toilet app when you’re on the go. 4) A surprising number of accessible hotels! When you are searching the internet for an ‘accessible hotel’ and don’t find anything, don’t worry. The first problem is that in Japan the wheelchair –adapted rooms are called ‘barrier-free’ or ‘universal’, not ‘accessible’. The second challenge is that many websites only list these rooms on the Japanese website. I’m not sure why. Maybe they don’t think that disabled people travel overseas?! Rooms can vary from large and hospital-esque to rooms where the only adaptation is a few handrails by the bathtub. There are some great rooms on this spectrum, but since there is no defined standard, there are some not-so-great ones as well. Roll-in showers are very rare, but since most bathrooms are waterproofed units, a shower chair can be used next to the tub. Inside Japan Tours will check all the details with the hotel as it’s important not to make any assumptions. Unfortunately, ryokan (Japanese-style inns) are mostly inaccessible. Some are accessible and market to seniors, but the tatami areas and the bath area itself is often off-limits to wheelchairs. 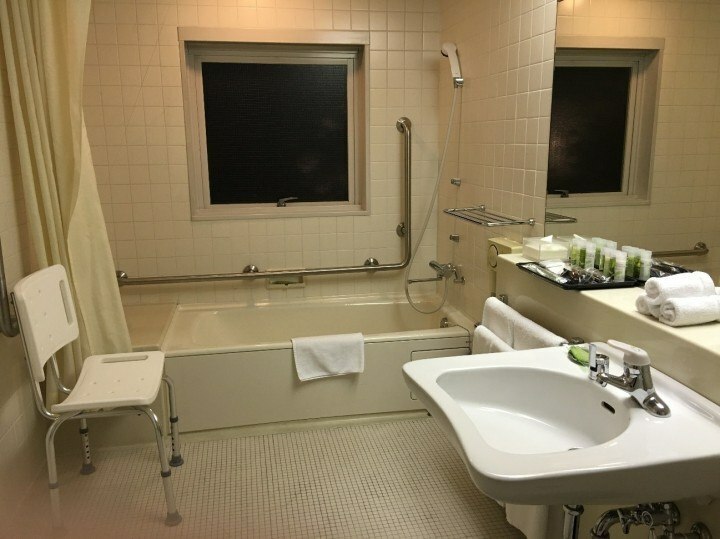 Bathroom in the accessible room at the Westin Miyako Kyoto. Preparations are in full swing for the 2020 Olympics and Paralympics – which means everything is getting even more accessible! So, why not come visit Japan? It’s easier than you think. 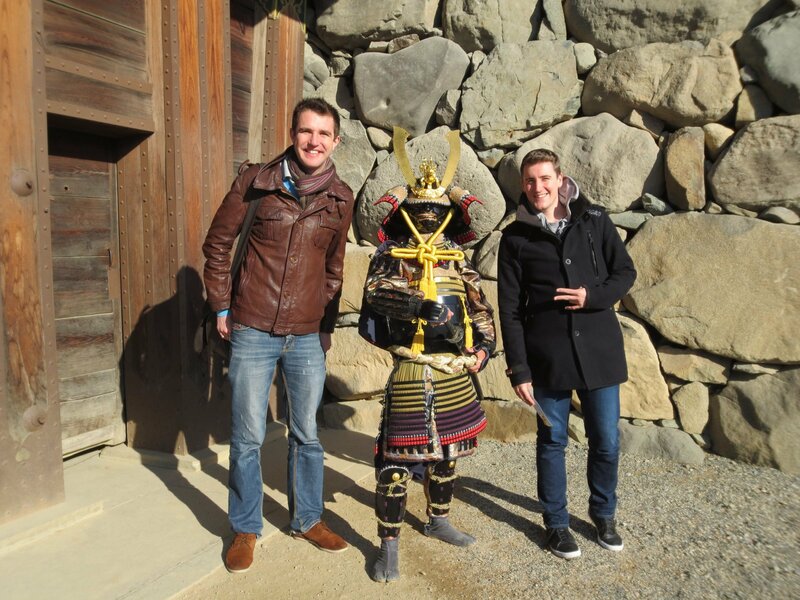 If you have a disability and wish to travel to Japan, get in touch with Inside Japan Tours, where we can take the stress out of planning your trip and provide support throughout your stay. Take a look at our Wheelchair Accessible Golden Route itinerary to see what we can do – or ask us to design your perfect trip from scratch (we love a challenge). Everybody can have a fantastic time in Japan, wheelchair or no wheelchair!